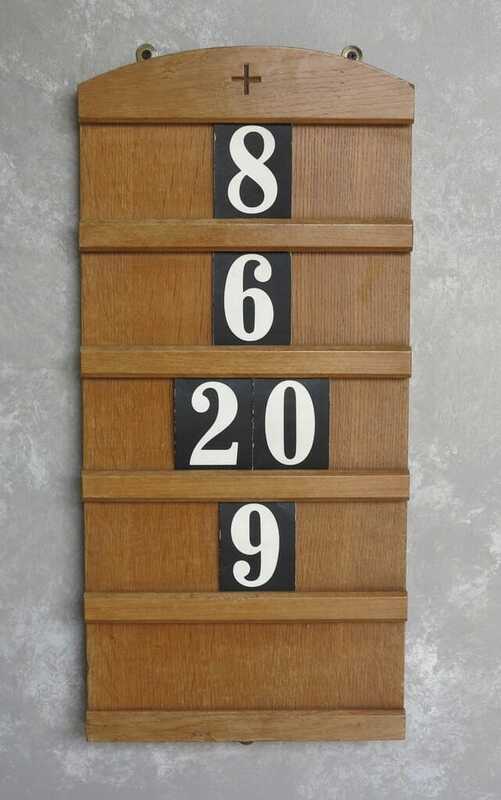 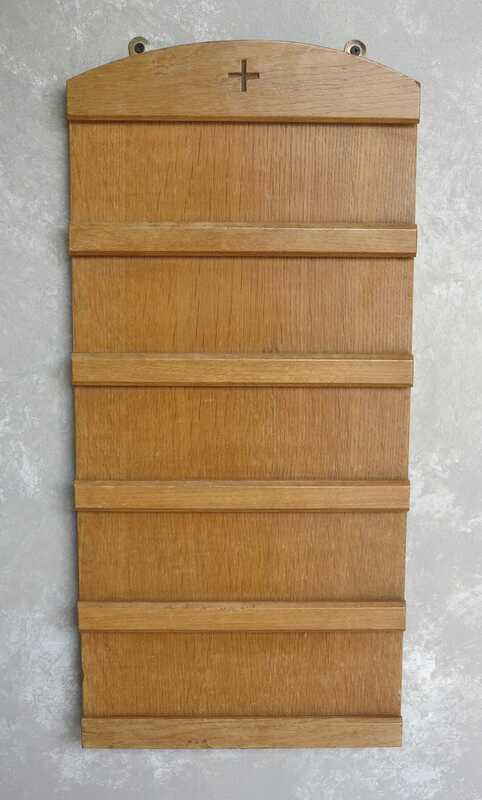 This is a lovely solid hand carved hymn board. 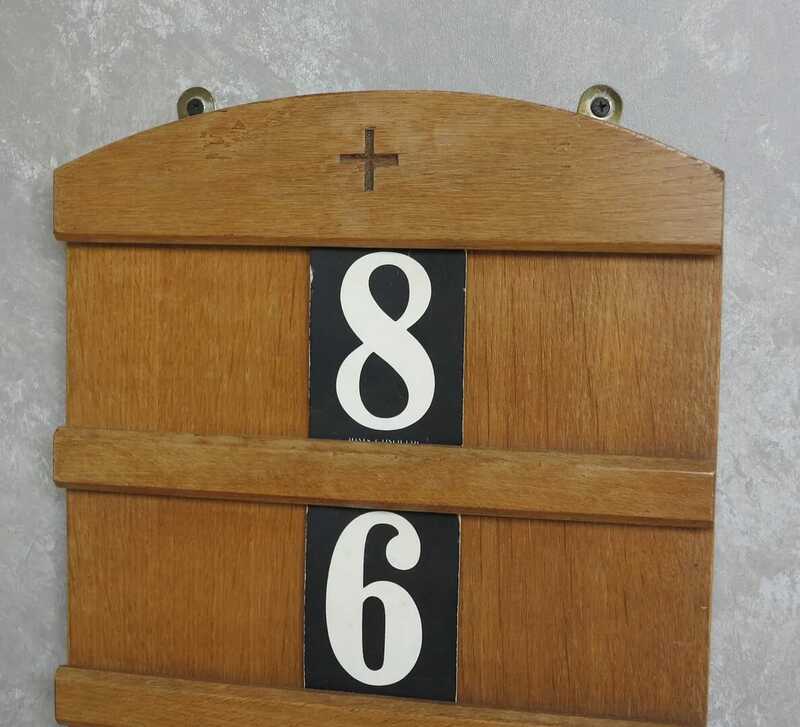 There are 5 spaces used originally for the hymn cards but they make fantastic holders for family photographs. 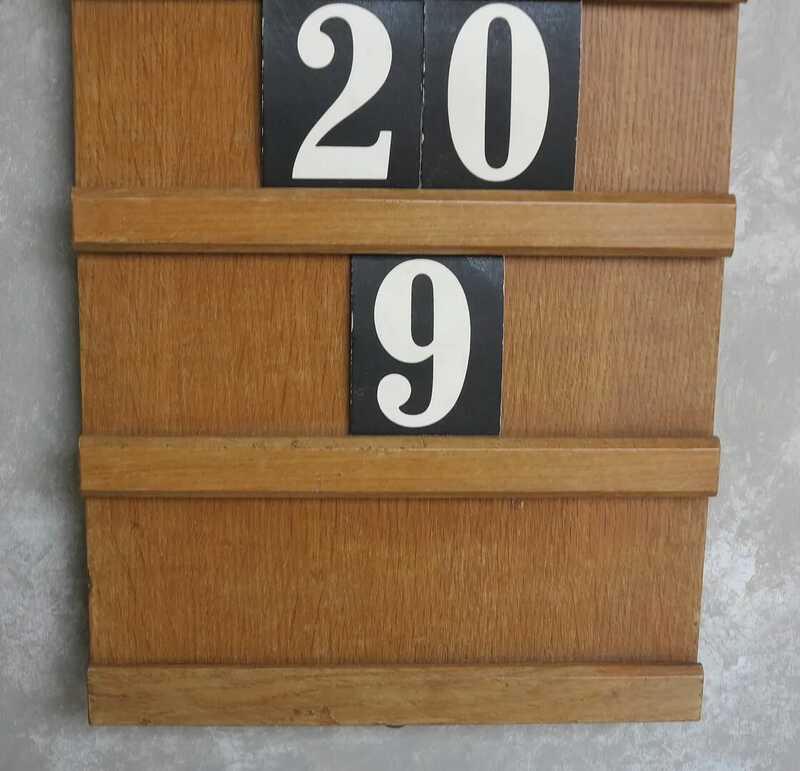 The hymn board measures 25 ¼" Tall x 12" Wide.